The importance of urban sustainability has led to the acceptance of the core concept and principles of low carbon urban design among researchers and professionals worldwide. The challenging issue of climate change urgently calls forth cities working towards a sustainable low carbon future. Cities can work together to seek solutions for carbon neutrality to deal with climate change and build the foundation for urban sustainability. 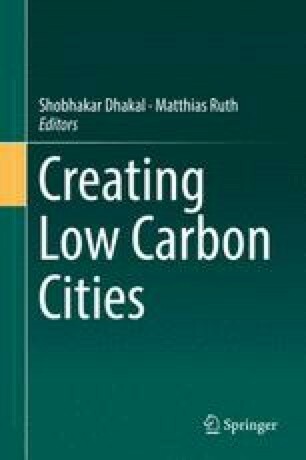 This chapter introduces the concept of low carbon urban design, discusses the potentials and opportunities of a low carbon urban development and defines its role in making cities achieve carbon neutrality. Examples of low carbon urban design initiatives in Australia, China and Hong Kong are deliberated. Further research on low carbon urban design policies, strategies and technologies as well as the creation of a standard low carbon urban design indicators list that is applicable to existing and new cities is the way forward. This paper is prepared with the support of research grants from CII-HK (A/C No. 5-ZJF5) and Research Institute of Sustainable Urban Development (A/C No. 1-ZVCJ) of The Hong Kong Polytechnic University.